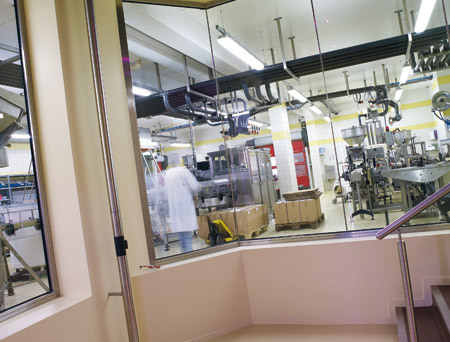 Marc Désarménien, the grandson of Edmond Fallot, is at present in charge of the company. 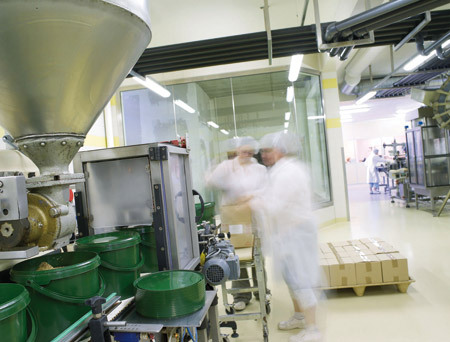 About twenty employees contribute to the quality of the production. 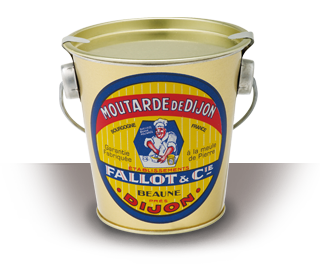 The company enriched its range of products over the years with aromatics mustards, vinegars, and others condiments like pickles; with a manufacturing process answering a quality approach in wich La Moutarderie Fallot made a commitment. 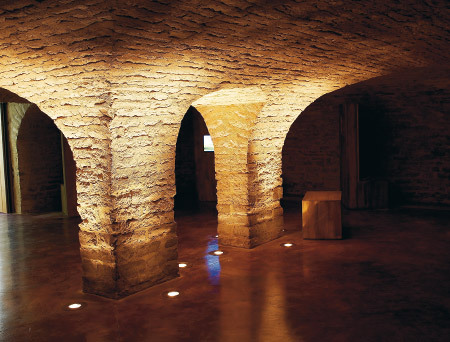 To value its traditional know-how, La Moutarderie Fallot opened its doors to the public with two museographic tours successively in 2003 and 2009. 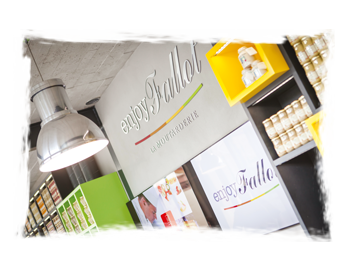 And since 2012, you can discover a free space totally dedicated to the mustard : Enjoy Fallot ! 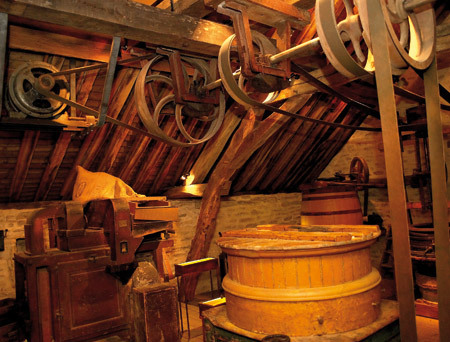 Léon BOULEY founded a mustard mill and oil producers way back in 1840. It was not long before the quality of his products was noticed and recognised by his peers, resulting in the award of a diploma from the City of Paris, in 1903 during the Great International Exhibition. His inheritors, anxious to preserve this renown, were to continue in his footsteps, paying the utmost attention to the quality of their products and marrying tradition with innovation. 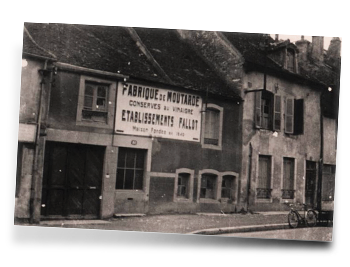 In 1923, Mr JACOB launched manufacture of the "Pure Burgundy Verjuice" mustard. 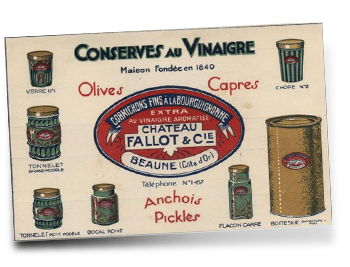 In 1925, Mr Paul CHATEAU extended mustard production to include vinegar pickles and relishes. 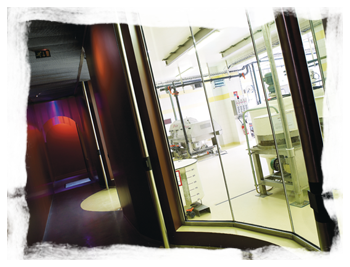 It was with Mr Edmond FALLOT that the business was to really reach its peak. Taking over the mill from Mr CHATEAU in 1928, he managed to instil a new lease of life into the business, despite the difficulties inherent in the Second World War. 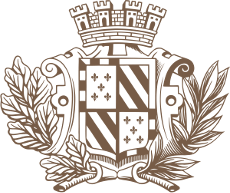 In 1945, his son-in-law, Mr Roger DESARMENIEN, joined the company. He took over management in 1962 on the death of his father-in-law. 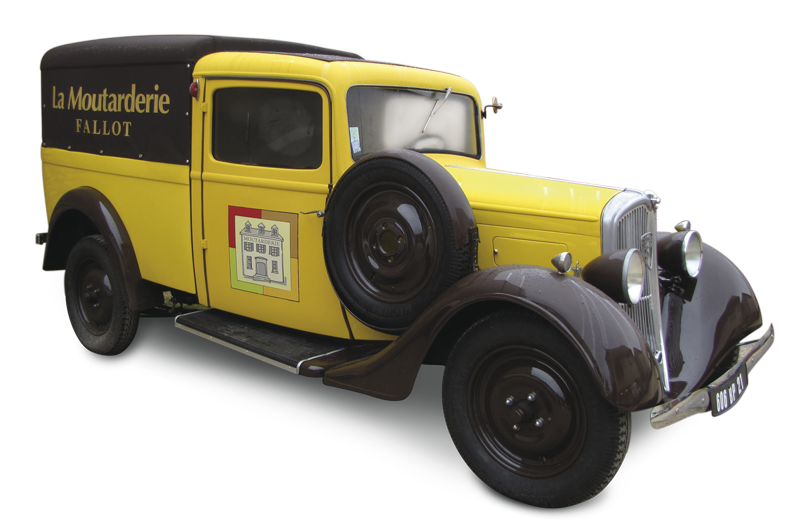 The last comer, in 1987, was Mr Marc DESARMENIEN, the grandson, who joined his father in the family business, to pick up the baton definitively in 1994. 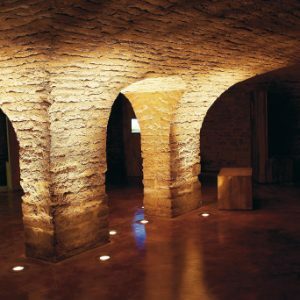 Very attached to his region and to the know-how of a job which he observed since his earliest childhood, il is with the firm will to modernize the company while protecting the main part : the slow destruction of seeds in the stony grindstone, that Marc Désarménien took the head of the family house. One of his main purposes : revitalize products by innovative recipes, rooted in the Burgindian country and adapted with current tastes. 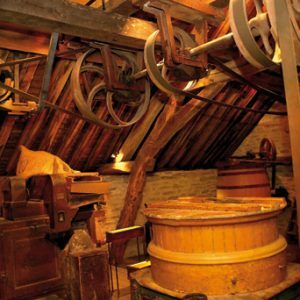 La Moutarderie Fallot, which knew how to protect the historical craftsmen mustardmakers heritage, opens its doors at the public at the beginning of 2003 to propose an interactive circuit of discoveries using the most modern museographic processes. Jars, sieves on table, tarares and especially stony grindstone testify of the craft know-how of the XIXth century. 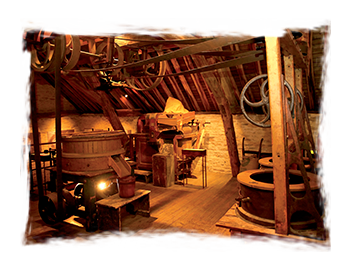 Second route of visit of our Mustard mill, the Sensational Experience tour has been though to be resolutely modern and turned to the interactivity with the public for an new way of discovery of the mustard. P.G.I. for the « Burgundy Mustard »! 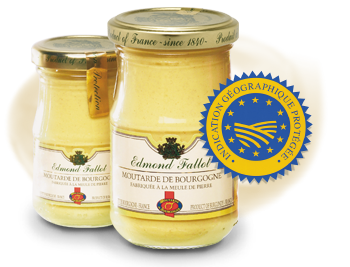 Our « Burgundy Mustard » obtains a Geographical Protected Indication ( P.G.I.  ); a quality sign recognized by France and by Europe. 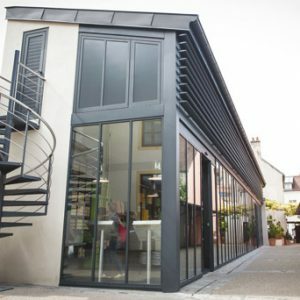 A new concept in Beaune : Enjoy Fallot! 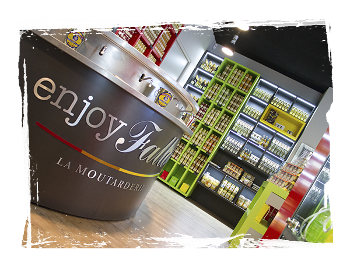 To extend the experience La Moutarderie Fallot has opened « Enjoy Fallot » : a new area of discovery totally dedicated to the mustard. Here you can discover the limited editions of our mustards and obviously taste all the flavors you want. 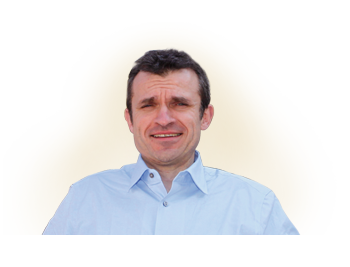 Click here to discover Enjoy Fallot. 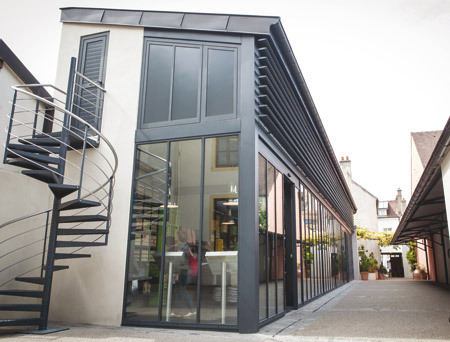 After Beaune, it is in Dijon that the Moutarderie has chosen to set up its new Boutique-Atelier. 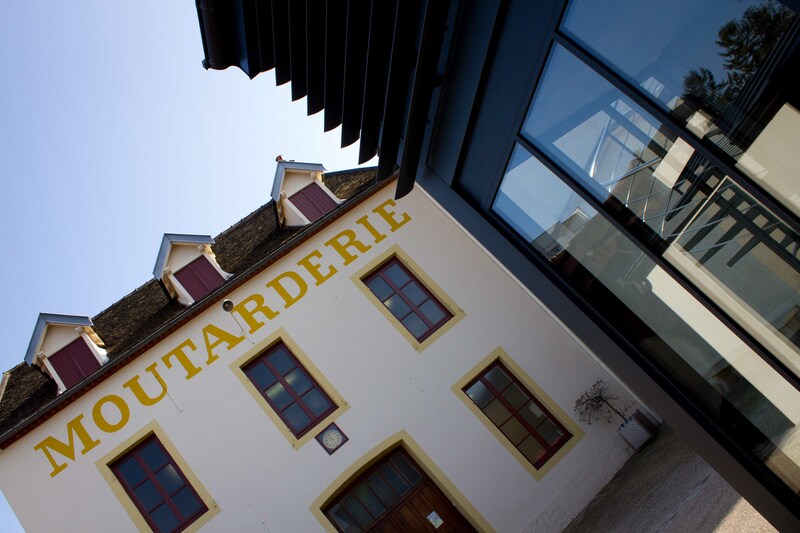 The Moutarderie Fallot is extending our Beaune site with a 200 square meter building, powered by solar energy. 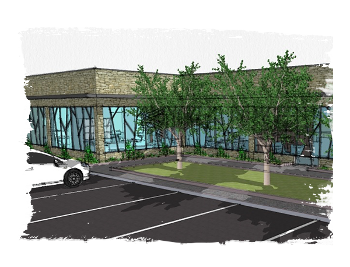 This new building will be dedicated to housing stock and our administration team. 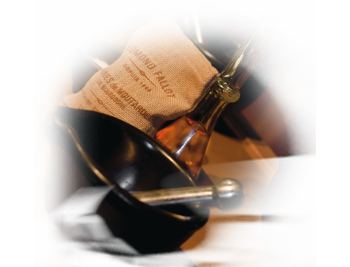 Mustard is the final result of complex manufacturing processes, duly codified over centuries of gastronomy. Botanists have listed forty or so species of Brassica, of which a dozen grow naturally in Europe. Among these are Brassica Juncea Czem and Cosson, a particularly vigorous variety with an excellent flavour, offering the main ingredient of Dijon Mustard. Known as brown mustard or Chinese Mustard, Brassica Juncea Czem and Cosson is a recent hybrid, since it was only introduced into definitive cultivation at the start of the twentieth century. 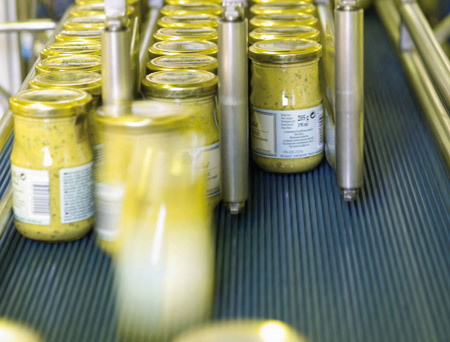 The seed used in the condiments industry is 95% imported. Canada alone provides 80% of the requirement, and the rest is provided by: the United States, Hungary, Romania, and Denmark. 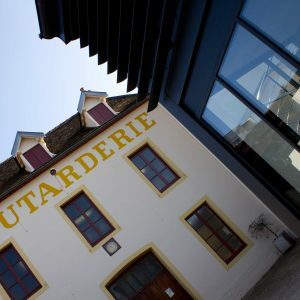 Our company, in alliance with other growers and manufacturers, has been actively encouraging the renaissance of mustard seed cultivation in Burgundy for several years. 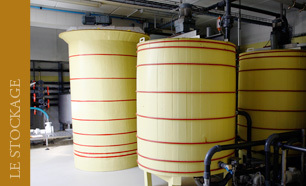 During the mustard manufacturing process, the seed undergoes a steeping phase in a diluting liquid made up of vinegar, salt, water and sometimes white wine, nowadays known as "verjuice". 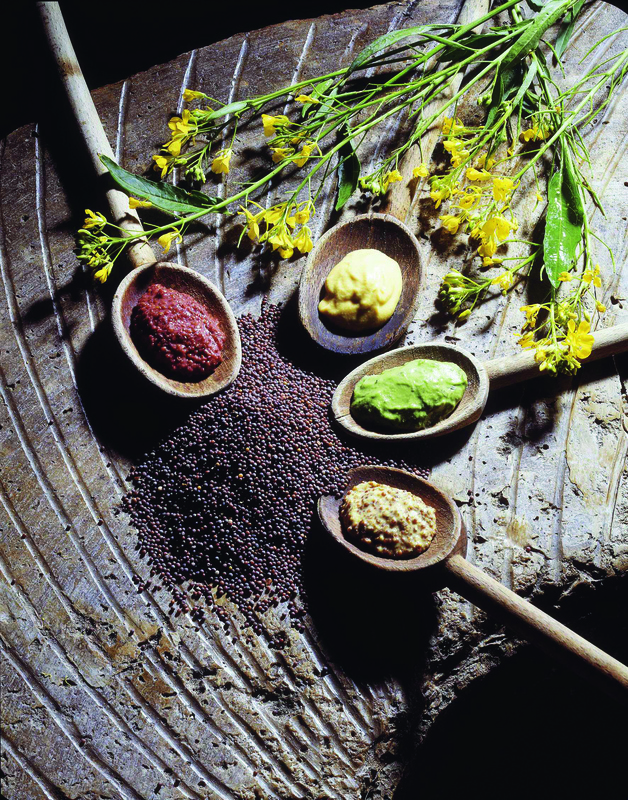 Originally, verjuice was the juice of the unripe grape which, when used for the first time in mustard making by J. NAIGEON, as a replacement for the strong vinegar used up to that point, was to turn the mustard industry on its head, and actually acted as the foundation for DIJON's World-wide renown in this field. 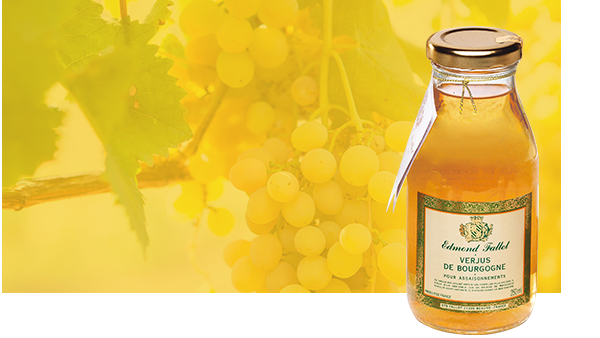 Nowadays, given the technical and scientific progress made in the understanding and controlling of acetic fermentation, the most widely used diluting liquid in the condiment industry is wine or alcohol vinegar. 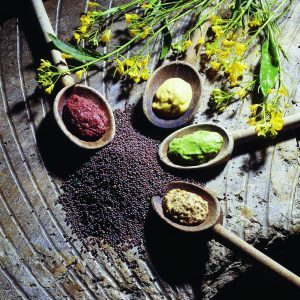 The spices and flavourings used in the composition of mustard are many and varied, and are subject to very meticulous dosing in compliance with each specific recipe. 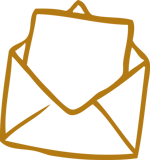 We devote a lot of time to seeking out the finest quality spices and flavourings (mustard with pimento ;Espelette), sometimes original (mustard with honey and balsamic vinegar) whilst always avoiding ostentation. 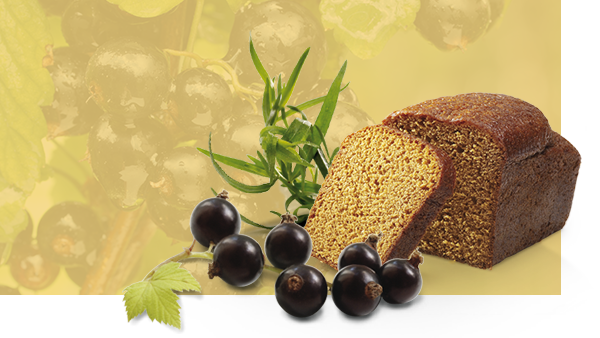 However, our primary aim is to make the most of the flavours of our native Burgundy (Burgundy full grain mustard with Burgundy AOC white wine - we were the first to launch Dijon blackcurrant mustard and Dijon gingerbread mustard). 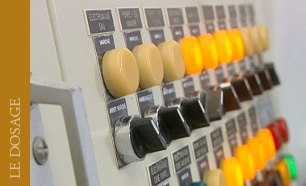 breaks down into several operations. 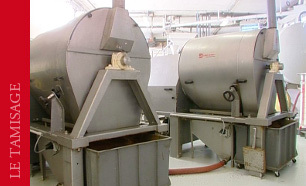 The seeds are cleaned, and are then sent to a winnowing machine, that by vibration and sieving removes all grass seeds, parasites and foreign bodies. The seeds are weighed to be transferred to the steeping vats. 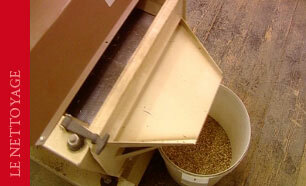 The now clean and weighed seeds are then fed along an Archimedes screw into the steeping vats (vinegar, water, salt). The aim of this operation is to facilitate the separation of the husk and the kernel. 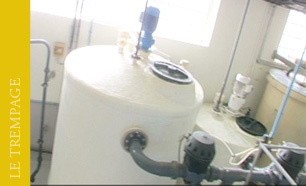 Once this operation has been carried out, the mixture will be pumped to the great mill stones. 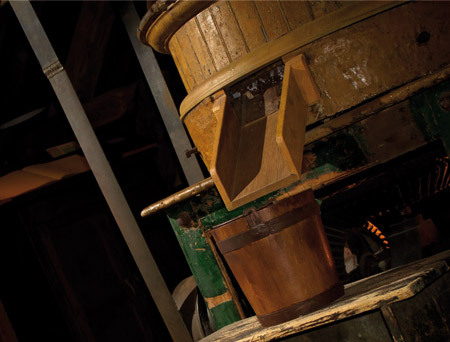 One of our company’s more remarkable features is that we mill using traditional millstones. 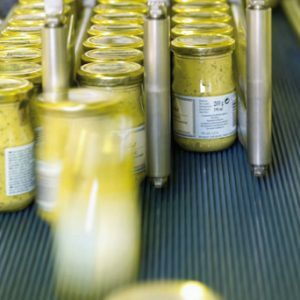 This manufacturing method, unlike the industrial processes used elsewhere, avoids the mustard paste being overheated, so as to preserve the gustatory qualities of the finished product. This involves the extraction of the husk (separation of kernel and integuments). 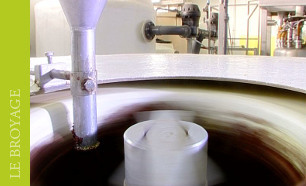 The paste after milling is pumped towards the sieves (large micro-perforated stainless steel cylinders containing compression rollers). This operation is not used when making Old Fashioned Mustard. 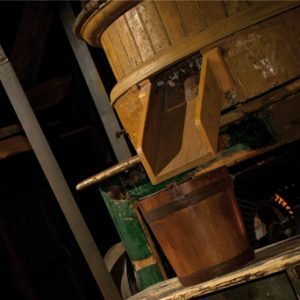 The paste, free of its integuments, is placed in barrels, where it stays for several hours. Here, it loses its bitterness and, by a natural chemical reaction, the taste of the mustard is released. After it has been deaerated, the mustard is ready for packing. 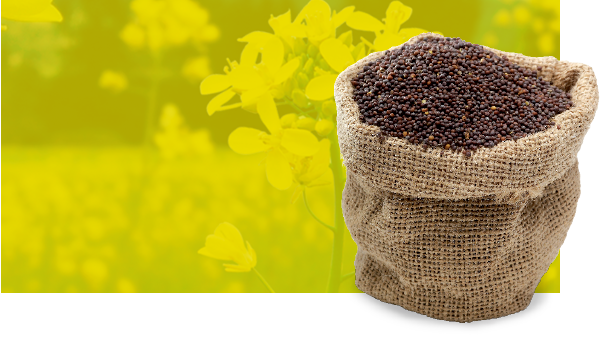 Incidentally, our company has set up various quality control points throughout mustard manufacture, from reception of the raw materials, right up to the packaging of the end product. 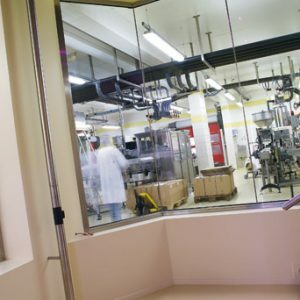 Our raw materials are rigorously checked before use. We especially check the mustard essence content (essential to ‘bite’) in the seed at every delivery. 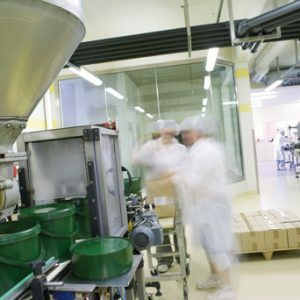 A traceability system (ability to trace the entire history of a product through controls carried out, raw materials used) enables us to trace back to all the ingredients incorporated in the end product.